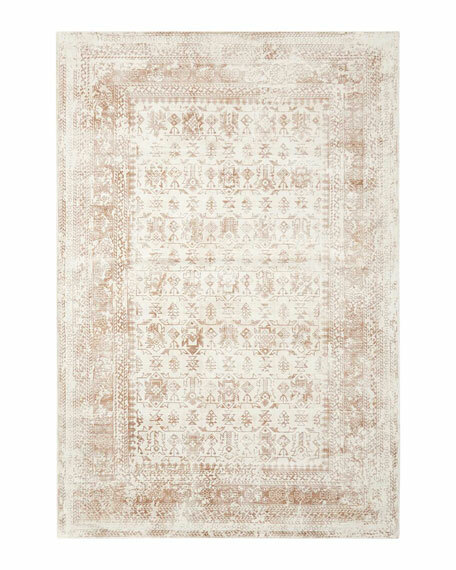 Lorraine Hand-Loomed Rug, 3'9" x 5'9"
A luxury dreamscape of color and design! 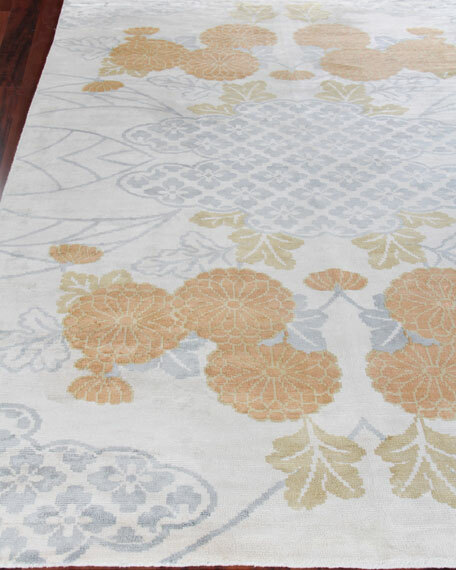 This rug is handmade with beautiful bamboo silk and will bring an artistic flair and rich character to any room. 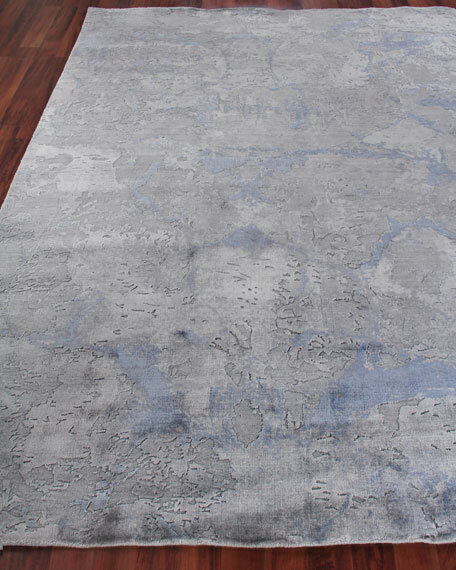 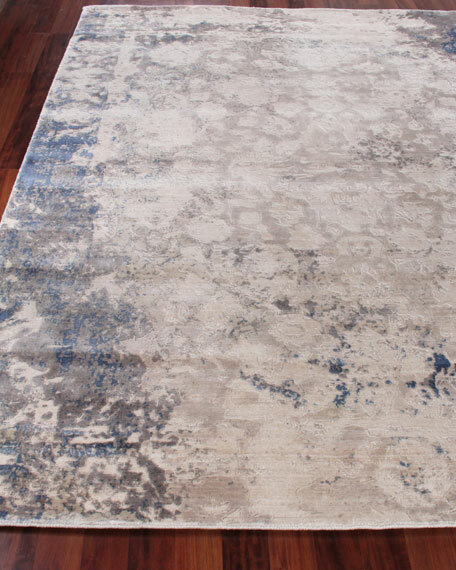 Handcrafted transitional rug is delicately detailed to capture the eye.Made of Bamboo-derived viscose.Lustrous sheen to one side and matte on the other sideSize is approximate; we recommend use of a rug pad (not included).Imported. 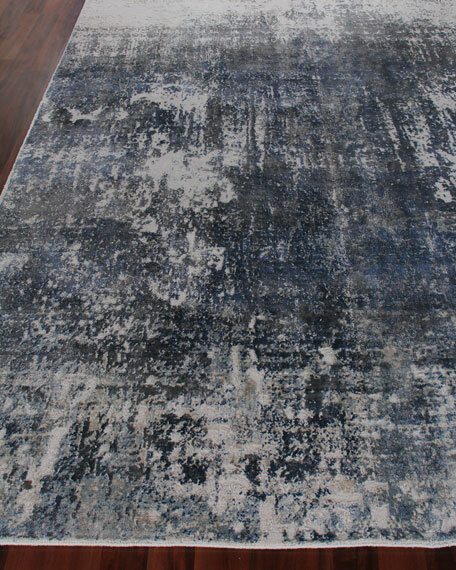 Handmade and hand-trimmed to a wonderful sheen, this contemporary pattern is bold but versatile. 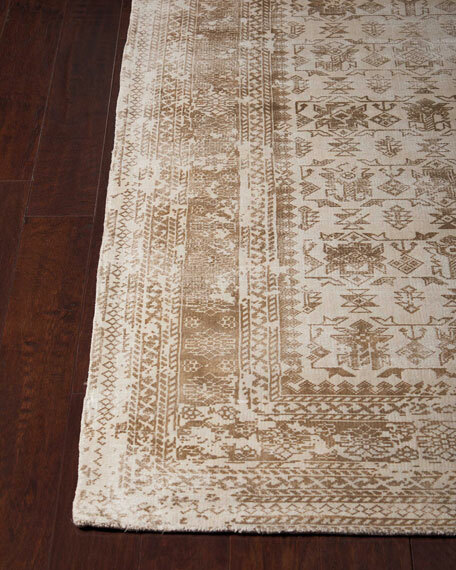 Each rug has rich texture and color, made by master Indian weavers.Rayon.Imported.Size is approximate.